Although the East Village has undergone many changes over the years, it has always been a lively part of NYC. Browse boutiques and record stores, have a picnic in Tompkins Square park, or relax in a casual café. This vibrant neighborhood’s nightlife never disappoints– it’s full of old-school bars, music venues, and cool restaurants. The East Village has so much to offer, so get out of your apartment and go explore! Located in the northern central portion of Brooklyn, This intimate slice of towny living is actually one of the largest neighborhoods in the borough. Now lined with with historic brownstones, restaurants, and bars, this neighborhood serves as the root of some of the greatest rap and hip-hop artists in the world, and is the perfect area for someone looking to get away from the hustle and bustle of typical city life. As the summer starts to wind down, be sure to take advantage of all that NYC has to offer during the month of August. We’ve put together a list of our favorite things to do in NYC this month for you to make the most of the rest of your summer. 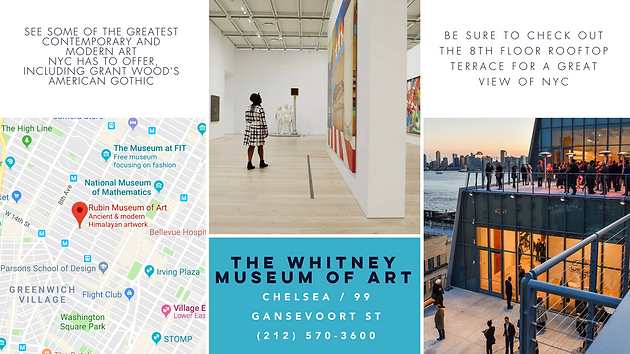 Don’t want to pay $25 to enter the Whitney? Insider Tip: Pay what you wish on Fridays from 7-10 PM! Travel in time back to the 1920’s at the 13th Annual Jazz Age Lawn Party held at Governors Island. Enjoy fabulous music from the Dreamland Orchestra, or even participate in the Charleston dance contest. Be sure to get your tickets in advance, they sell out every year! It’s no wonder NYC Restaurant week is one of the most highly anticipated yearly celebration of dining in New York. Indulge in NYC’s best restaurants at a fraction of the price. Make your reservation on the official NYC Restaurant website to secure a spot at that restaurant you’ve always been wanting to try. This annual Shakespeare festival begins in mid-July and is popular among both New Yorkers and tourists. This year’s performance is Twelfth Night featuring music and lyrics by critically-acclaimed songwriter Shaina Taub. Check out City Parks Foundation’s amazing SummerStage concert schedule to find a wide variety of free and ticketed concerts in NYC city parks in Manhattan, Brooklyn, and the Bronx. Get your medieval on with NY Renaissance Faire as it celebrates its 41st season. Join the hundreds of actors dressed as knights, fairies, pirates, and more. Be sure to get funnel cake and plenty of ale. Baseball is better seen in a stadium than on the TV screen of your apartment! Take your pick–watch a Yankee game at Yankee Stadium or a Mets game at Citi Field. View the August home game schedules online. Calling all foodies: don’t miss out on the largest weekly open-air food market in America, featuring over 100 local vendors. It’s open every Saturday in Williamsburg and every Sunday in Prospect Park. Even though this event runs until October, we love going in the warm weather. Enjoy an incredible lineup of well-known musical artists and emerging talents at this annual festival held at Commodore Barry Park. This weekend full of good vibes will also feature “BITES & BEATS” food trucks, live artworks and the SpinThrift Market. August is your last chance to take advantage of the free movies being played at parks all over NYC’s five boroughs. Bring a friend, a picnic chair, some food, and enjoy a great flick! This mansion is a rosé lover’s paradise. Sip on rosé from all over the world and wander the rooms in this mansion where you will learn the history, science, and economics of rosé. Tickets include wine samples that equal about two glasses of wine. Buy your tickets online! Don’t miss out on this solo exhibition at the New Museum that brings together Thomas Bayrl’s works from the past fifty years. Recognized as one of the most influential artists to have emerged during the 1960s West German economic boom, Bayrl’s art explores the relationship between consumerism, technology, propaganda, and desire. Located at the Northernmost edge of Brooklyn, Williamsburg offers a unique nonchalant identity and vibe, and the eclectic mix of people living in the area make it a perfect hub in and out of lower Manhattan. People from all over the world flock to Williamsburg for all that it offers, especially its vintage shopping experience, versatile dining options, and rousing nightlife. The collective community vibe and creative environment make this a perfect place to explore your inner creative, all while allowing you great networking opportunities with the bright minded citizens of the neighborhood in casual and relaxed settings. Check out the list of recommendations that we’ve curated below. NOTE: To prepare for historic attendance and participation expected for WorldPride and the 50th Anniversary of the Stonewall Uprising in 2019, NYC Pride will be changing the route for the NYC Pride March in 2018. 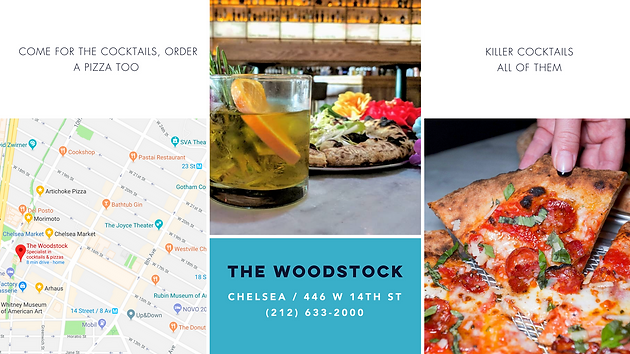 The perfect blend between classic and upscale, the Upper East Side allows you to not only immerse your self in the historic neighborhoods of NYC, but also offers you a refined dining and outing experience, no matter what your taste palette craves. There is so much to do, see, and taste here! We’ve curated a list of our favorite spots and recommendations for your visit. PS: click the images below for an easier commute. In 2016, the European Union adopted the General Data Protection Regulation (GDPR). GDPR becomes enforceable on May 25th, 2018, which will replace the EU Data Protection Directive 1995 in each EU country. Compliance is mandatory for any company that deals with the data of EU citizens, regardless of whether or not companies have a business presence in the EU. These new regulations are intended to help people stay in control of their personal information. As a furnished apartments service provider, Novo Boutique Living provides serviced apartments to corporations and business travelers. Our customers routinely provide to us personal data, and it is our commitment that such data be maintained in a secure environment that is compliant with GDPR.